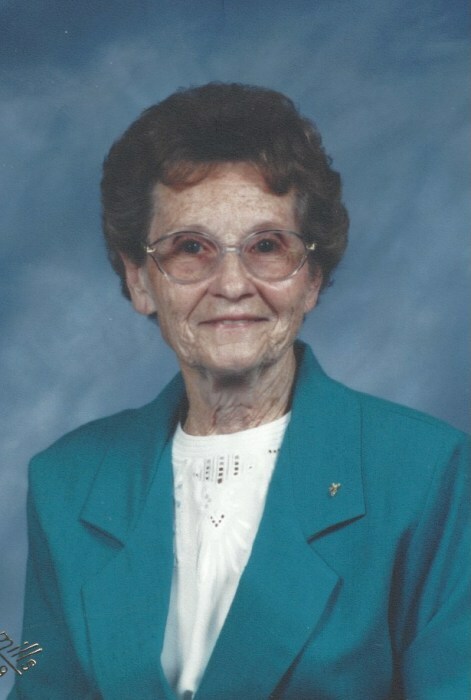 Obituary for Ruth E. (Schick) Amacher | Brooks Funeral Home and Cremation Services P.C. Ruth E. Amacher, 96, of Washingtonville Road, Danville, passed away Monday, January 28, 2019 at Grandview Healthcare Center, Danville. Born May 13, 1922 in Ottawa, Montour County, she was the daughter of the late William M.P. and Maude L. (Mordan) Schick. On August 10, 1945 she married Harry E. Amacher and they celebrated 27 years of marriage until his death May 10, 1973. Ruth graduated from Danville High School in 1941 and began her working years at Sportswear in Danville. Later she went to Elmira, NY and worked at Eclipse Machine Division. Upon returning to Pennsylvania she then worked at Westinghouse in Sunbury until July of 1945. Following her marriage in August of that year, she became a homemaker and farmer's wife, having raised 500 chickens and milking 40 cows. In 1973 she was asked to serve as a Committee Person for the Republican Party for Derry Township. She enjoyed traveling throughout the US (including Hawaii and Alaska) and Europe. She also enjoyed flowers and gardening, knitting and crocheting, being with family and friends, and NASCAR racing. Ruth was well known for her scrubees. Ruth was a life-member of the DeLong Fair Association where she served on many committees from 1974 through 2018, including the Advisory Board, kitchen help and waitressing, and as the Chairperson for the Floral Committee and Entry Committee. She served on the Extension Board for three years, the Danville State Hospital "Birthday Cake Baker from 1993 to 1995, and was a member of the Bloomsburg Hospital Auxiliary for 21 years. An active member of the Republican Party, she served as the Montour County Republican Judge of Elections from 1981 to 2005 and Secretary of the Montour Co. Republican Committee from 1978 to 2001. In January of 1993 she was honored to receive the Lincoln Award at the Republican Ball. Surviving are two sons: Harry Amacher, II and his wife Donna of Danville and Alfred Amacher and his wife Julie of Northumberland; two daughters: Katharina Lauer and her husband Paul of Stillwater and Linda Vastine and her husband George of Millville; three grandchildren: Charles and Christopher Lauer and Luke Vastine; two great-grandchildren: Willow Lauer and Harlyn Ruth Vastine; and a sister, Alda Eichenlaub of Turbotville. Preceding her in death besides her husband were two brothers: Donald and William Schick and five sisters: Mary Frye, Dorothy Covany, Helen Miller, Alma Bieber, and Alice Harrison. Family and friends are invited to call from 11 AM to Noon on Friday, February 1, 2019 at Washingtonville Lutheran Church where the funeral service will be held at 12:00 Noon with the Rev. Melody Sell, her pastor, officiating. Burial will follow in Elan Memorial Park, Bloomsburg.